The Evolution Series is the market leader in first aid kit design and content, developed specifically for the UK. 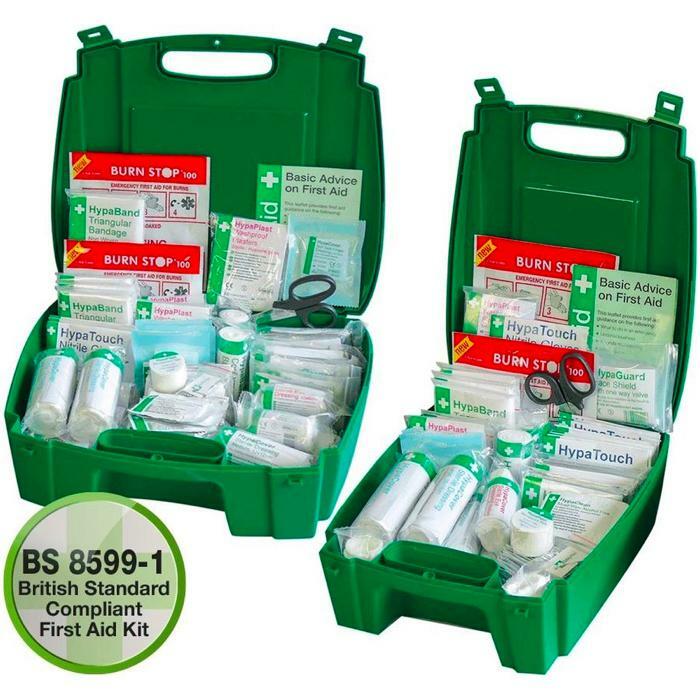 The first aid kit comes in three sizes (small, medium and large) according to your organisation’s needs while helping you to comply with British Standard requirements for workplace first aid. These high quality first aid kit cases are made of a durable injection moulded plastic and feature a white cross and clear "First Aid" sign, making it easy to identify. The first aid kit is ideal for any type of workplace providing all essential workplace first aid supplies in case of an emergency. The contents are stored in an innovative rigid plastic case that is easy to carry, making it simple to transport to any casualty in need of attention. Please Note replacement kits do not include a display box, these are refills only.